In my quest for organization, I knew that one of the first things I needed to do to get the clutter in my head in hand was to clean up my computer’s desktop. Between STYLE by Kalyn Johnson, Possess Your STYLE, effie’s paper and Kalyn Johnson Design (the custom side of effie’s paper) I have anywhere from 6-10 files open daily. Simplifying my computer craziness was a top priority. Et volia! 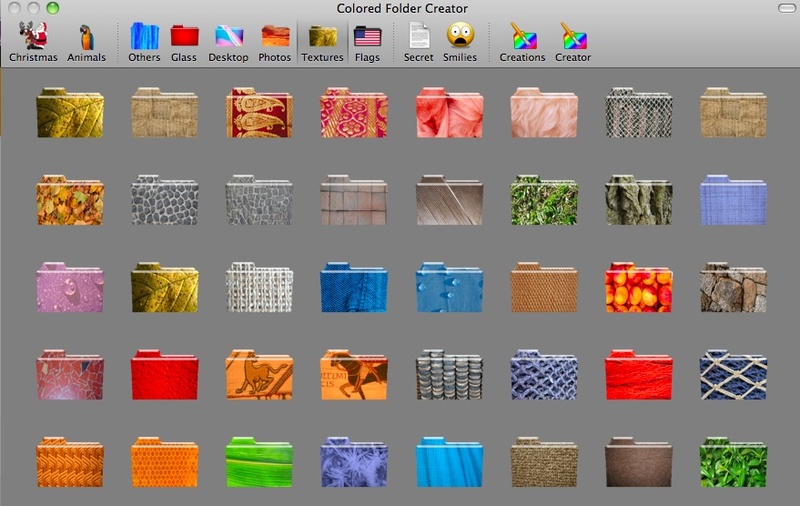 I stumbled upon an app in the Mac App Store called Colored Folder Creator. Definitely worth the $6. When you download the app you get the screen pictured above. In order to keep projects and client files organized and easily findable on my desktop, I use the glass color files. But, you know I love an animal print and a pretty pattern – these I use for personal files. It took me almost a day to get my desktop organized, it was truly a HOT MESS! But the time spent was well worth it. I try to stay on top of my files daily, but at a minimum I cleanup my desktop weekly. What about you? What are your secrets for keeping your computer files organized?